This new feature has been inspired by a user suggestion. 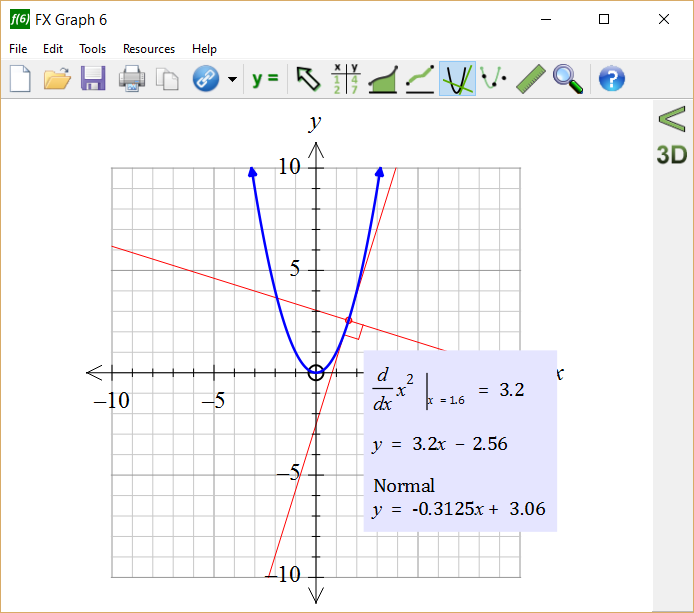 FX Draw and FX Graph have long been able to add a tangent to a function and let you investigate the equation of the tangent line. The toolbar button has changed slightly to show the normal. 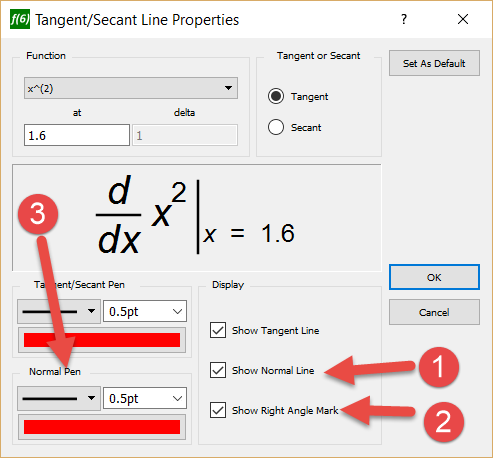 To use the new tool, draw the Tangent Line as you always have and then right click on the tangent line to edit it. You can choose to show the Normal (1) and also mark the angle between the normal and tangent with a right angle (2). You can also change the colour of the normal line (3). 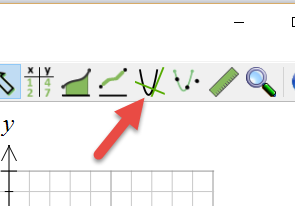 Finally, you can choose to turn off the tangent line if you wish. 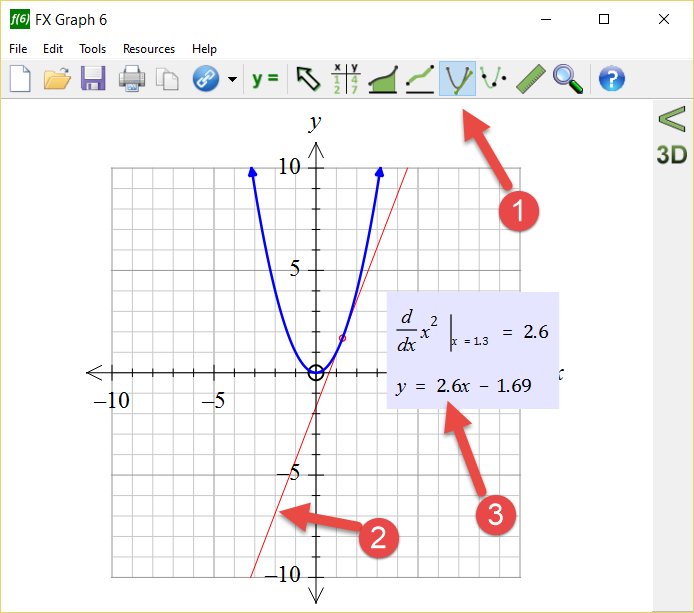 Automatically generated annotations now include the equation of the normal to the function.